Lock in a great price for The Lake Resort – rated 9.2 by recent guests! The resort is beautiful on the exterior, it has 3 swiming pools and grassy areas surrounding them with loads of chaise lounges and umbrellas. The back of the hotel faces a man made lake where you can do kayaking. The beach is a 8-10 minutes walk and it's miles and miles of sand. The gym is well equiped. There is an indoor swiming pool, sauna, steam rooms, and water fountain. A big bottle of still water is provided on a daily basis when your room is served and we were received with chocolates and fruit in the room at our arrival. We asked for a car rental and the concierge organised everything for us. They also organised a taxi back to the airport and everything was done on time and smoothly. The buffet breakfast was varied and the food was of great quality, there was Cuve available in case you wanted to have a mimosa! The location is great- there is a Marina behind the hotel surrounded by restaurants, pubs and shops. Great atmosphere even in late October! I go to Vilamoura very often and this hotel is the best there. Great staff, super location and delicious breakfast. Not the first time we have stayed at the Lake Resort and it remains our favourite place to stay. Rooms are clean, staff are attentive and the breakfast is very good. Beautiful location. Spacious and caters to all your needs. Amazing hotel. Very relaxing environment. Such a great choice for breakfast. Especially gluten free vegan options which are very hard to find! Super quick Check in and out, view of the lake and ocean,excellent breakfast,good value and the room was stacked with everything we needed. I will come again for sure..! Had a golf trip to Villamoura for four days. Hotel staff were very helpful and pleasant. Rooms were very spacious and modern and breakfast was good. Pool area is lovely and has a very nice lunch each day. The Lake Resort This rating is a reflection of how the property compares to the industry standard when it comes to price, facilities and services available. It's based on a self-evaluation by the property. Use this rating to help choose your stay! One of our top picks in Vilamoura.Located just 1,000 feet from Falésia Beach, this luxurious resort offers a natural, sandy beach pool and a floating restaurant. The rooms have balconies with stunning views of the surroundings. Guests of the Lake Resort can reach their accommodations through the lobby, which is covered by a 14-yard, Moorish-style dome. The rooms are spacious and have sliding doors that lead to the private bathrooms. Lake Resort offers 3 restaurants, 2 bars and a library full of books and magazines. While guests relax in the spa area, children will be entertained for hours with the activities of the Koala Kids Club. After a dip in one of the 3 pools, guests can enjoy Oriental cuisine at the Fusion restaurant or have fresh fish in the garden setting of the Marenostrum restaurant. The Pool Bar and ZanziBar provide refreshing beverages. 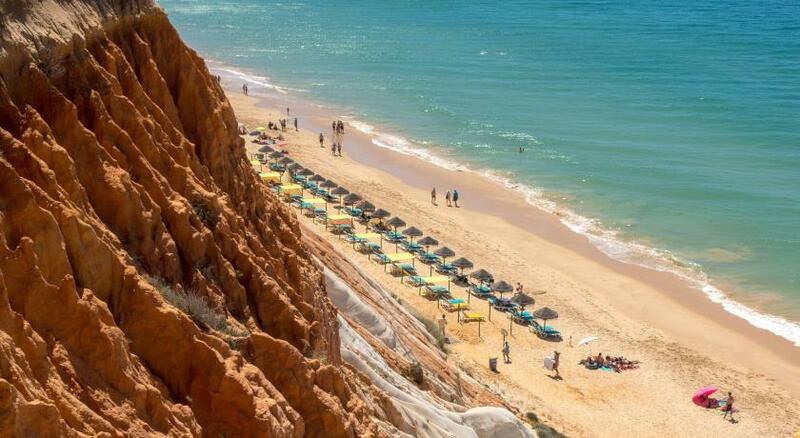 The Lake Resort Hotel is located a 20-minute drive from Albufeira. A shuttle service to the Vilamoura golf courses within 1.2 mi is available upon request. This is our guests' favorite part of Vilamoura, according to independent reviews. This property also has one of the top-rated locations in Vilamoura! Guests are happier about it compared to other properties in the area. This property is also rated for the best value in Vilamoura! Guests are getting more for their money when compared to other properties in this city. When would you like to stay at The Lake Resort? This spacious air-conditioned room includes a balcony with views of the resort's gardens. Each room has a flat-screen TV, mini-bar, Nespresso coffee machine and a private bathroom with free premium toiletries. This spacious air-conditioned room includes a balcony with views over the Sea. Each room has a flat-screen TV, mini-bar, Nespresso coffee machine and a private bathroom with free premium toiletries. This spacious air-conditioned room includes a balcony with panoramic views over the Sea and resort's private gardens and Lake. Each room has a flat-screen TV, mini-bar, Nespresso coffee machine and a private bathroom with free premium toiletries. This spacious air-conditioned room includes a balcony. Each room has a flat-screen TV, mini-bar, Nespresso coffee machine and a private bathroom with free premium toiletries. Please note that this room does not have a view. This spacious air-conditioned Suite includes an bedroom with attached bathroom (with bathtub and separate rainfall shower), an living room with sofa-bed and additional guest bathroom with shower. The balcony offers views over the sea, the gardens, the pools and/or the resort’s private Lake depending on the floor which is located. - EUR 100 for stays between 1 July and, including 15 September. Please note that Resort Credit is not valid for use in other services other than Restaurants and Bars and may not be exchanged, redeemed, or refunded for cash, and may not be transferred or assigned. This double room has a private bathroom with free toiletries and a balcony with views of the resort's gardens. This double room has a private bathroom with free toiletries and a balcony with panoramic views over the Sea and resort's private gardens and Lake. House Rules The Lake Resort takes special requests – add in the next step! The Lake Resort accepts these cards and reserves the right to temporarily hold an amount prior to arrival. Please note that the Marenostrum fish restaurant and the pool bar are closed in the winter season. Please note that the indoor poor is part of the Spa facilities and therefore not allowed to children under 16 years old. There were quite a few shouting kids in the lake which looked to be from the other apartments so can't be helped! We also did request the room to be cleaned a couple of times but it took til late in the day. Overall though didn't effect our experience. The staff are amazing and so helpful with any requests. Pool area is lovely and serene. Can’t complain, everything was lovely! There was abit of confusion with our booking but they kindly sorted it for us. Exceptionally well kept property, doesn’t feel crowded even at full capacity. Many pools and different rest areas. Few min walk to Marina. Staff was well trained. Fabulous hotel, brilliant location and facilities and really lovely staff everywhere we went! Indoor pool close by the spa. It can get too busy when weather is not pleasant. Staff, food, location, spa services. 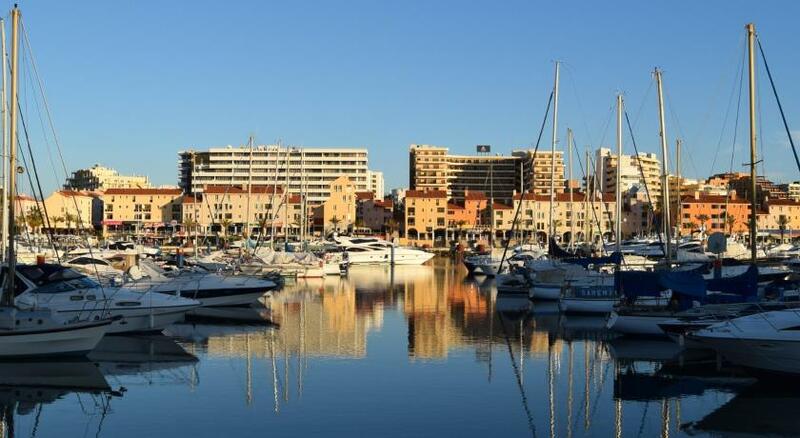 We were lucky enough to visit Vilamoura in a quiet time of the year. Location is fantastic! Our room 351 was very comfortable and the food was amazing. One night we went for the buffet bbq... wow! We also had a few massages, enough to say that spa's staff is very professional and competent! I recommend this resort! This is truly a five star hotel.From the friendly staff to the beautiful grounds this is a brilliant hotel. The service was amazing and we were treated extremely well by all the staff we encountered. Beautiful grounds to walk in, a nice swimming area (sadly was a bit cold). Great hotel. Fantastic facilities. Excellent staff! Thank you for a great stay!